Join us tonight and next week to mourn the end of summer and celebrate back to school woes with Improv Comedy. Check out this hilarious show that tours college and universities. CLICK HERE to register for $5 TICKETS ($25 at the door). There is a TWO drink minimum, but plenty of non alcoholic options for under 21yos and other non drinkers by choice. Come be a part of the show! Hilarious interactive comedy improvised based on audiences suggestions and participation. No two shows are ever the same. YES AND… This can be considered home work for acting, political science, sociology and psychology majors. Walt Frasier has been with EIGHT IS NEVER ENOUGH Improv Comedy since the beginning in 2002. In that time he has hosted over 5000 shows and workshops in Times Square and touring Nationwide. Now considered a specialist in corporate team building, Walter embraces Psychological Safety and tries to teach the world to smile. At every workshop, Walter gives his students homework “Now that you have taken my classes, you are now comics. It is your job to make the rest of the world smile. Don’t wait for the world to make you happy first. Wake every morning and force yourself to smile and see how your world changes.” He has run workshops for JP Morgan Chase, IBM, Morgan Stanley, Master Card, American Express, NYC Schools (DOE VENDOR), Microsoft/BING, Twitter, Louis Vuitton, Coach, Home Depot, Enrst & Young, GM, KRAFT, UBS, UNILEAVER and 100s more smaller/local firms as well as training corporate trainers. Other credits include TV (Letterman, Friends of the People, GMA, Royal Pains, Blue Bloods, Lilyhammer, WE, MTV, NICK and more) Musical Theater (Off-Broadway, International Touring, Regional), Opera and can often be found entertaining as Santa, The Blues Brothers or as Piano Singer. Originally from Puerto Rico, She is an actress, known for Casi casi (2006), StartUp (2016 – 2 seasons as Marty Freeman’s Daughter) and The 100% Perfect Girl (2015). Nathan Armstrong has been seen in many productions, including recent tours of Phantom, Brigadoon, and Richard Sherman and Milt Larson’s new musical Pazzazz! Other regional credits include Buddy, the Buddy Holly Story, Guys and Dolls, Anything Goes, Big River, and Joseph… He is also on the soundtrack for the feature film Rock Slyde and has performed in venues worldwide, from the Hilton Hawaiian Village to festivals in the Czech Republic and Hungary. Samuel Van Wyk is an actor/improvisor based in New York City. As an improvisor, Samuel has performed for thousands of students and adults. He has also lead Improvisational workshops for all ages from kindergarten students to senior executives and everything in between. Samuel has lead workshops on the benefit of improv in a business setting for professionals in the education and medical field as well as corporate clients like IBM, Bing, and JP Morgan. As an actor, Samuel works in TV, Film, and Theatre. Samuel has appeared in such TV shows as Evil Talks, Diabolical, and Mysteries at the Museum. Favorite stage roles include Malcolm (The Full Monty), Hal (Proof), and Snoopy (You’re a Good Man, Charlie Brown!). Chaz May is a New York City-based actor, comedian, and writer. Originally from Tampa, Florida, Chaz is a graduate of the University of Florida where he earned his Bachelor of Fine Arts in Musical Theatre. He is the creator and cast member of the New York City-based sketch comedy show called Past Curfewwhich performs at the People’s Improv Theater in New York City. He is a student of the Upright’s Citizen’s Brigade Theater and a member of the improv company Eight is Never Enough in NYC. 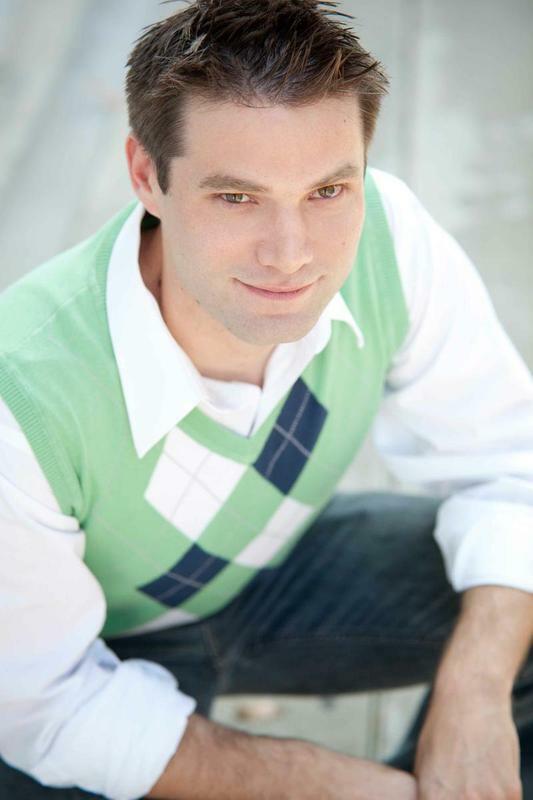 Chaz’s regional theatre credits include Seymour in The Little Shop of Horrors and Mark Anthony in A Chorus Line. He has been a part of the development process in shows such as Volleygirls, directed by Neil Patrick Stewart, and Puffs Or: Seven Increasingly Eventful Years At A Certain School Of Magic & Magic, which is currently playing at the New World Stages. When Chaz is not performing, he is working an an audience coordinator for ABC’s The View and Good Morning America. COME BE A PART OF THE SHOW! Get 75-80% off discounted tickets to hilarious interactive musical comedy shows improvised based on audience suggestions and participation.